PASS_Insurance is the comprehensive, component-based core system which supports the entire insurance cycle with multi-company, multi-territory, multi-currency and multi-language capabilities. A complete bespoke solution for all lines of Life and Non-Life General Insurance for a 360-degree view of customers, agents and operations. 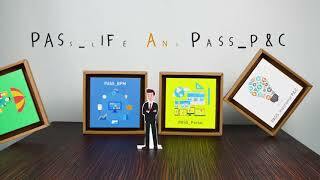 The main module of PASS_Insurance Core is PASS_Products, the product configurator and tariff engine. PASS_Insurance Digital is the digital Front End component that enables Insurers to work in a shared environment, by establishing an omnichannel distribution model, with a 360-degree view of the customer, for a satisfying and positive customer experience, with the same level of service through various distribution channels. This includes all the APPs relating to the insurance business for the digital interaction of Insurerswith their policyholders and partners. The APPs are developed and customised for Insurers and satisfy their need for interaction with the end customer and policyholders. Integration with PASS_Insurance enables Insurers to make more specific business analysis. This results in an increase of touch points for new business opportunities and in a customization of services to satisfy more the customer needs. Powered by an advanced service-oriented architecture and best in class configuration capabilities, PASS_Insurance sets the standard for adaptability, reliability and speed to market. PASS_Insurance combines all insurance core processes and lines of business on a cost effective, flexible underwriting and distribution solution to empower insurance staff to respond and adapt to market change with a faster and better experience.